Late last month Microsoft released the second version of their award-winning and free anti-malwareÂ tool, Microsoft Security Essentials. 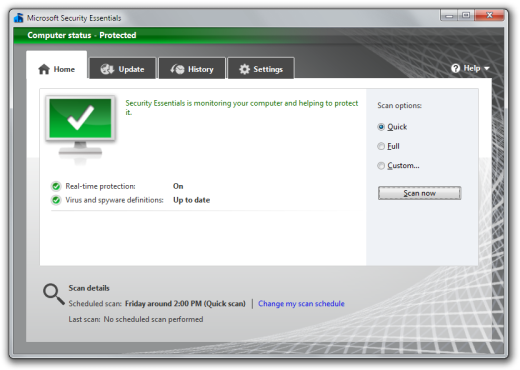 Microsoft Security Essentials (MSE) can be used for no charge on any Windows XP or Windows 7 computer in businesses with up to 10 PCs. If you fall into this category, we highly recommend MSE as an anti-malware solution. If you are already running MSE version 1 on your PC, you will be automatically upgraded to version 2 via Windows Update. If you have a new PC you wish to install MSE on, uninstall any existing antivirus software and then go to this website to download and install MSE.